Apple Watch stands are very useful as they make the watch ready to use for us in different situations. 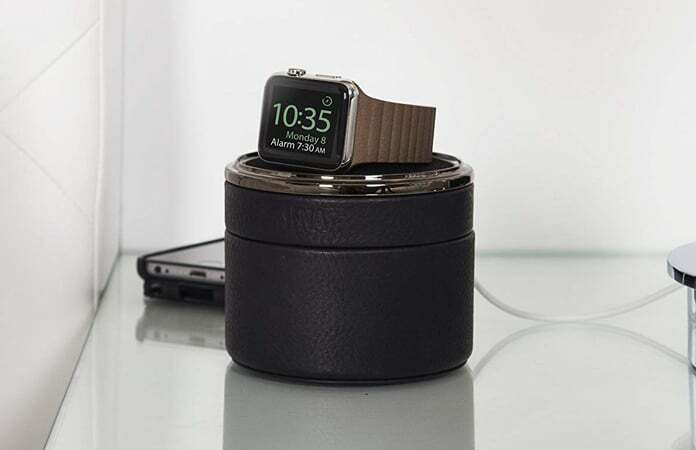 Whether you are going to attend a meeting or you want to hang out with your friends, an Apple Watch charging stand will make your watch ready to go. Also, such charging stands make your desk or table more stylish and elegant. Here are some of the best Apple Watch charging stands which you must consider. Take a look of our list of the best charging stands for Apple Watch you should buy. Twelve South Forte Apple Watch charging stand is an elegant piece which can give you a real feel of luxury. The best part of this charging stand is its leather base. You can use this stand to charge your Apple Watch as well as add some design to your table. It takes a little space, so you don’t have to worry about that. Another great feature of this charging stand is its dock which can be adjusted in different positions, i.e. portrait or landscape. 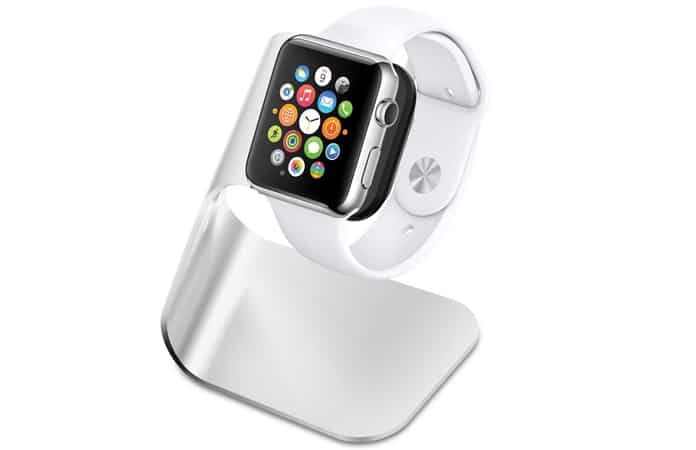 Spigen Apple Watch Stand is an aluminum body stand which is incredibly useful for your watch. Its head is made of a particular type of plastic which will prevent your watch from scratches and damages. Also, its light and shiny aluminum body give you a special feel in your room or wherever you place it. So, if you want to have a right combination of your Apple Watch and charger, you can consider it. Here we have another very beautiful and elegant charging stand for your Apple Watch. This stand for Apple Watch comes with an integrated charging plate which makes it so useful. No other charging stand can beat the style of this stand. The chrome arm integrated with the base looks really amazing. You can buy this charging stand from Amazon for $79.95. 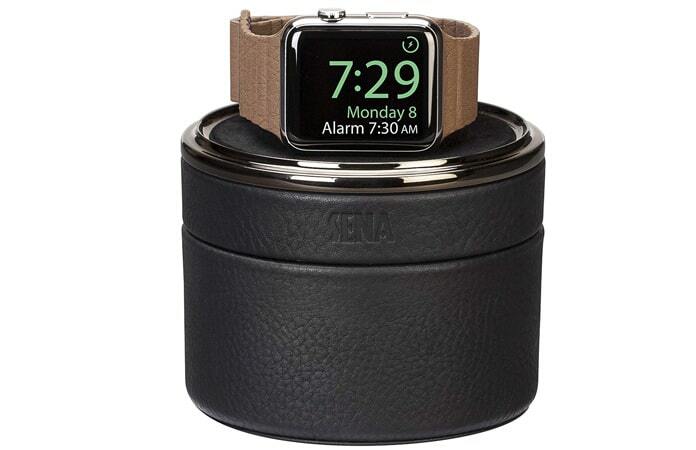 Sena Leather Travel Case for Apple Watch is a charging stand with a full leather body. It is specially designed for travel purposes. 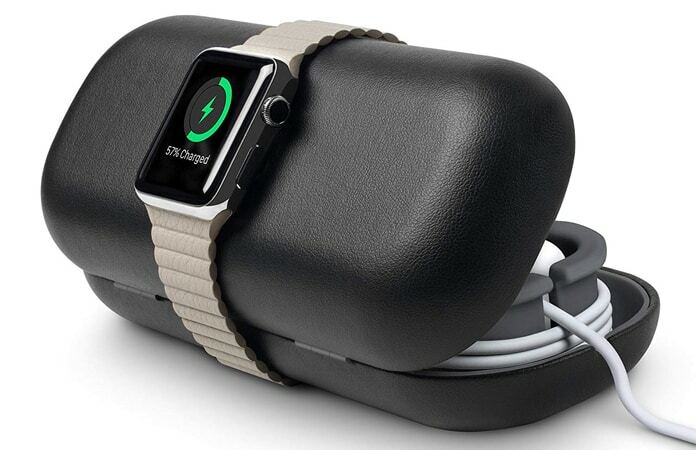 It means you can carry your Apple Watch with this stand if you are going on a journey. The compartment of charging cord is individually made in this charging stand so that you could easily use it while you are traveling. Another good aspect of this stand is its low price. 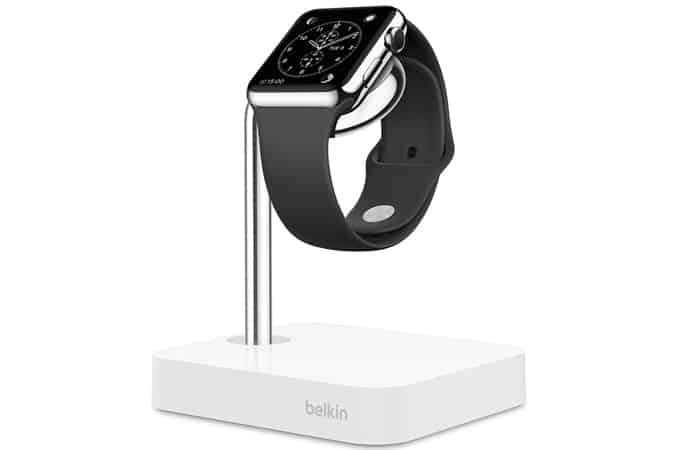 It is the nice and reliable charging stand for Apple Watches. It is one of the most attractive charging stands for Apple Watches in the market, and the reason is its elegant design and low price. Apple Watch Magnetic Charging Dock comes with a built-in charging connector which you can use to charge your Apple Watch. Also, it has an adapter as well as a lightning cable. 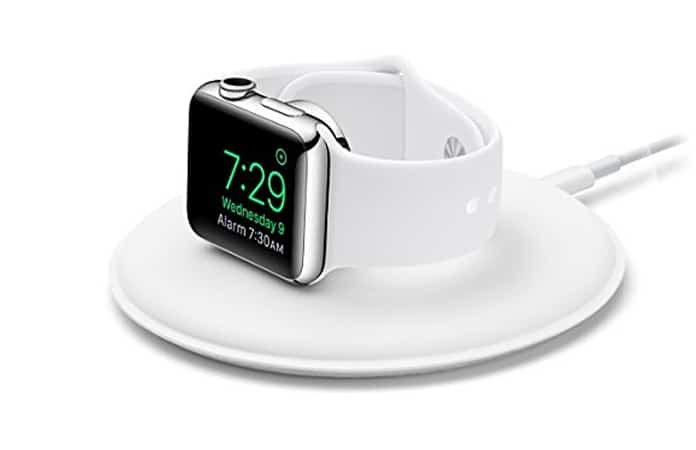 In other words, Apple Watch Magnetic Charging Dock comes with a complete package for your Apple Watch. Now, you can stop worrying about buying different cables and adapter with your Apple Watch charging stand. Simple consider this charging stand and get the most of it.